Wow, what a great piece of family history to have! I confess, the idea of hand-worked buttonholes flummoxed me for a long time. They just don’t seem possible. I think it looks pretty darn good. I’m always dissatisfied with mine and I always feel like the thread is too thick. I find it interesting the ones I make have the bar on the inside of the cut, where yours is on the outside. Now I’m going to have to research how you did that! Yes, that is what I meant, the little row of knots. I think this is quite pretty. Thanks for the link. I agree that she should frame it. Or convert it into a button-on decoration for a blouse, maybe. It’s far better than any I make. I agree – I think it looks pretty darn good. You should see the (French convent) needlework on my linen bedsheet that once belonged to Christian Dior. Even the lady masters of towering embroidery skills at my local guild are in awe of the skill level displayed in the embroidery on it. But the part that REALLY takes my breath away is the teeny tiny “Dior” laundry mark in the corner of the sheet; it is done in red cross-stitch so tiny the crosses are almost invisible; you need a magnifying glass to see that they are actually crosses! That being said, this buttonhole of yours isn’t half bad for a beginning attempt! I’ve seen MUCH worse in my day, my own attempts included! All you need is practice-practice-practice! And, it’s going on “underwear”, after all, isn’t it? The button will be covering it, too, don’t forget! Wow, that must be quite a piece! Yup, that’s a “win” all righty! Durability counts for a very great deal! Oh, and here’s a cheat I heard about somewhere: make a regular machine buttonhole, as narrow as you can manage, cut ti open..and then handwork your OWN buttonhole OVER it. You will probably need to use a slightly thinner thread to do so than you used here, to avoid excessive bulk. I think it’s pretty awesome. Remember that burgundy wool coat I started a couple years ago? I’m going to have to handwork those buttonholes, and I can only hope they turn out as well as yours! I think they look very good! Yay! It looks good! And of course it’s on a scrap. >_< I love handworked buttonholes, but I dread doing them. That said, I managed to butcher my way through a set of five on a now-thrifted coat for DD3 a few years back because I had no choice. 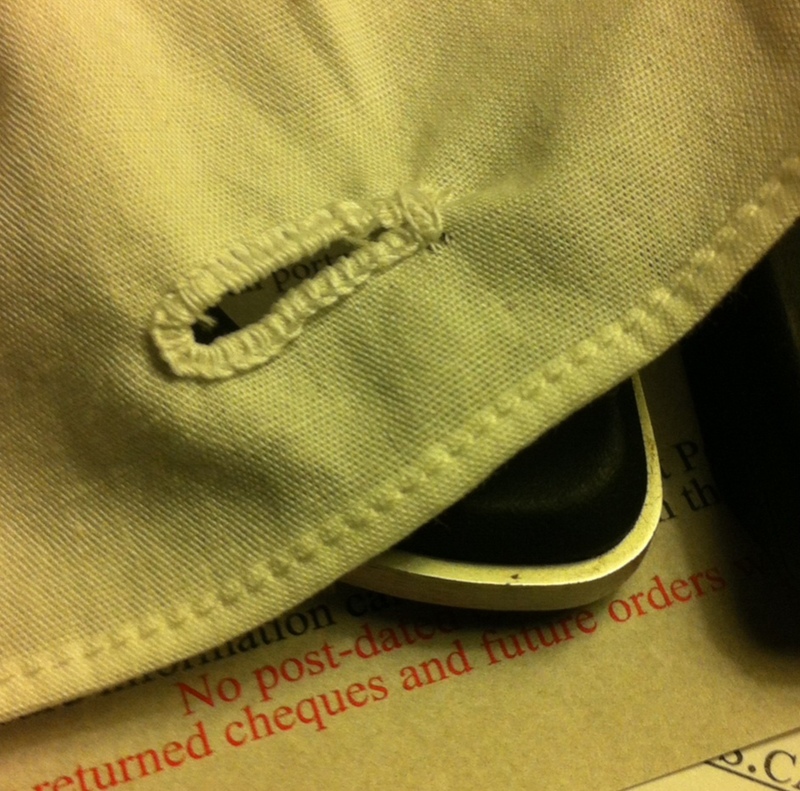 Dumb modern sewing machine couldn't handle the layers of melton. And y'know what? Those darn tortured buttonholes held up like titanium to all the use they got. I'm still trying to figure out how something so terribly stitched could be so strong!